The Southern African nation’s energy sector will now be able to meet the electricity demand from the fast-growing economy. 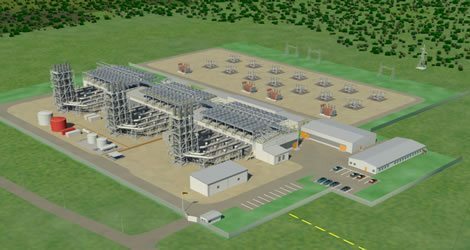 This is after Japan’s agreement to fund the construction of a US$174 million new gas-fired power plant in the country. The announcement was made during Japanese Prime Minister Shinzo Abe’s visit to Mozambique, part of a three-country tour of Africa, the first by a Japanese leader since 2004. Japan has also agreed to lend Mozambique US$672 million over five years as Tokyo seeks to secure access to Mozambique’s rich coal and gas reserves. Speaking during the agreement signing ceremony, Fernando Augusto de Sousa, the CE of Electricidade de Mocambique (EDM), said the construction of the plant will not only increase the availability and quality of electricity in the southern region of the country, but also aims to ensure a back-up to the city of Maputo. The power station will add 110 MW to the grid when it due to start running in 2018. Mozambique’s power shortages threaten the development of industry and economic growth even as the country continues to see a spike in foreign investment since its hit on huge gas reserves. Power demand, which is at about 800 MW at peak times, already outstrips supply of around 700 MW in the former Portuguese colony, whose economy is expected to grow by 14 percent this year.